We’re excited to present our 15th episode of Geothoughts. You can also subscribe to this Podcast by finding it on iTunes. In this episode, we take a look back over five years of fruitful Geothink research. We spoke to Geothink Head Renee Sieber, Co-Applicants Rob Fieck, Daniel Paré and Stéphane Roche, and Geothink students Rachel Bloom and Edgar Baculi about their most memorable experiences with the grant. Welcome to Geothoughts. I’m Sam Lumley. That was Geothink Head Renee Sieber, an associate professor at McGill University’s Department of Geography and School of Environment. Funded by Canada’s Social Sciences and Humanities Research Council, the Geothink partnership grant has involved 26 researchers and 30 partners, while also training more than 100 students. As the grant wraps up, we’ve been hearing from our researchers and students as they reflect on their involvement in the grant over the past five years. We started off by speaking to former Geothink student Rachel Bloom about her most memorable experiences with the grant. The Geothink grant has brought together researchers from many different backgrounds and from different parts of the world. It was this point that Geothink co-applicant Rob Feick, an associate professor in Waterloo University’s School of Planning, emphasised while talking about the influence of Geothink on his own work. This interdisciplinary approach was also highlighted by Sieber, as being essential to exploring how interactions between citizens and government are mediated by technology. Working alongside people from different academic fields can help to offer a broader perspective on the big issues facing citizens and governments. It also led some Geothink researchers to shift their own own research interests. This was the case for Geothink Co-Applicant Stéphane Roche, an associate professor in University Laval’s Department of Geomatics, who talked about his focus moving from the technical to the ethical over the course of the grant. Throughout the grant new partnerships and opportunities have emerged, and co-applicant Daniel Paré, an associate professor in the University of Ottawa’s Department of Communication and School of Information Studies, highlighted his new collaborations with the Open Government Partnership. We went on to ask Paré about his most memorable experiences as part of the grant. 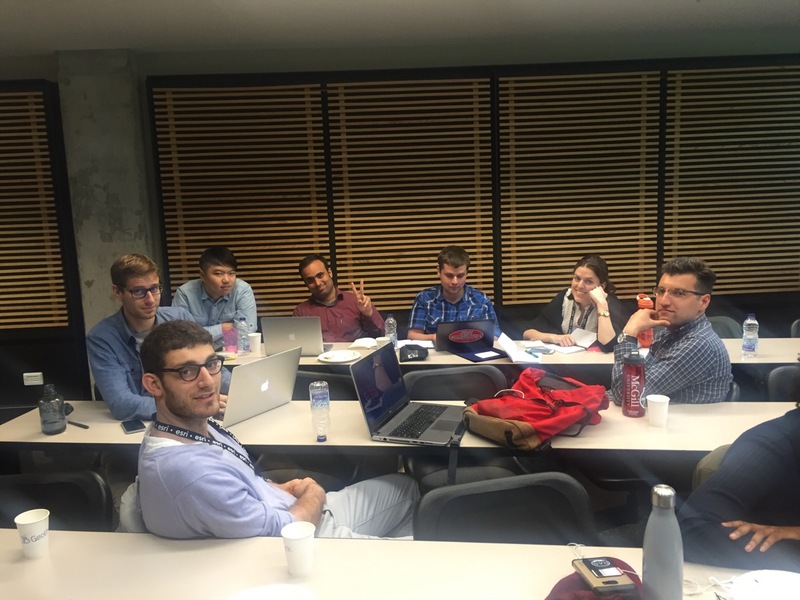 Opportunities for collaboration and exchange were facilitated by the four Geothink summer institutes. Many collaborators and partners emphasised how helpful it was to bring researchers, partners and students together under one roof. Feick pointed to 2015 Summer Institute held at McGill University as being his most memorable moment. The summer institutes also stood out to former Geothink student Edgar Baculi, now a graduate researcher in Ryerson’s Department of Geography. The five-year Geothink Partnership Grant may be coming to its conclusion, but the research and its applications will continue. We asked Sieber what lay in store for Geothink’s research themes, the community the partnership helped to foster and the grant’s continuing work. If you have thoughts or questions about this podcast, get in touch with Sam Lumley, Geothink’s digital journalist, at sam.lumley@mail.mcgill.ca. This entry was posted in Geothoughts Podcasts and tagged Daniel Paré, Edgar Baculi, Geothink, geothink students, Geothoughts, itunes, podcast, Rachel Bloom, Renee Sieber, Robert Feick, Stephane Roche, students on September 24, 2018 by Sam Lumley. 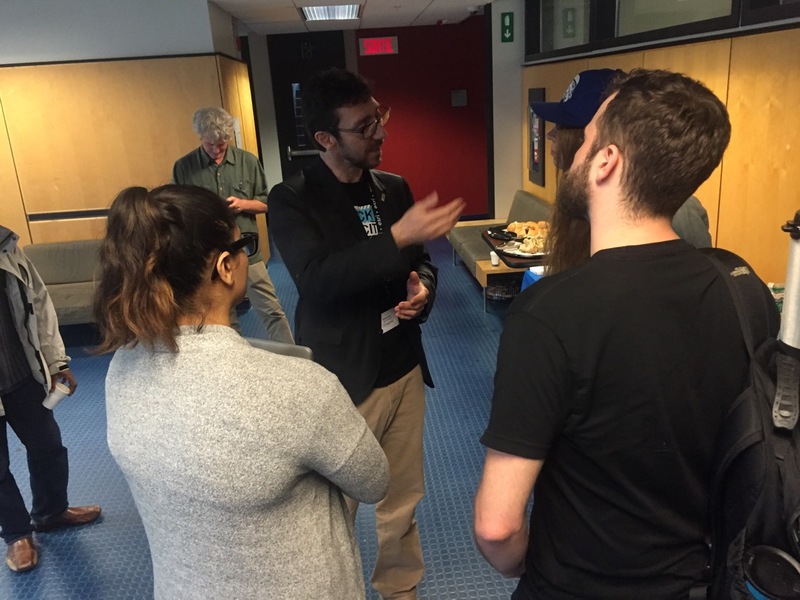 Geothink Co-Applicant Stéphane Roche, associate professor in University Laval’s Department of Geomatics, chats with students during a coffee break at Geothink’s 2017 Summer Institute at McGill University in Montreal, QC. One of the hallmarks of any academic conference are the conversations that take place in-between sessions, in hallways and over meals. In our third Geothink Conversations, we aim to give you a flavor of these discussions at Geothink’s now concluded 2017 Summer Institute. 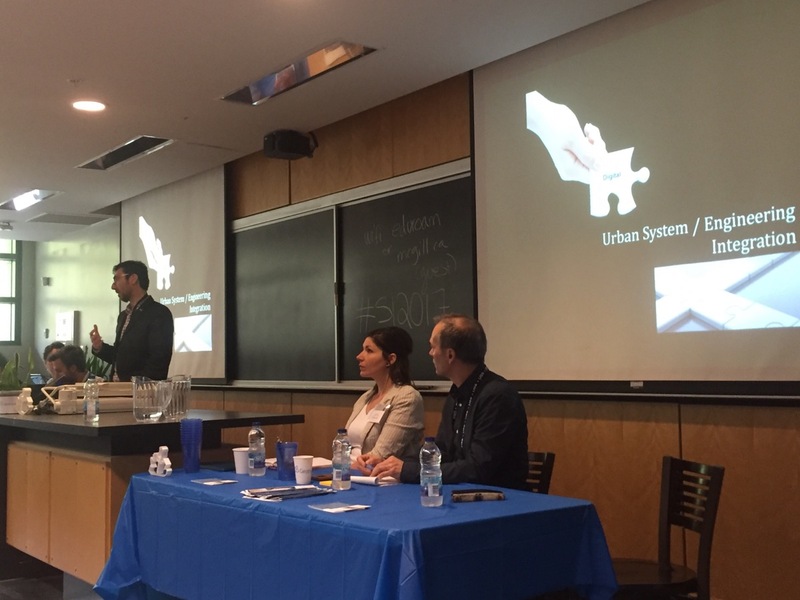 The theme of this year’s Institute was “Smart City: Toward a Just City.” An interdisciplinary group of faculty and students tackled many of the policy, legal and ethical issues related to smart cities. 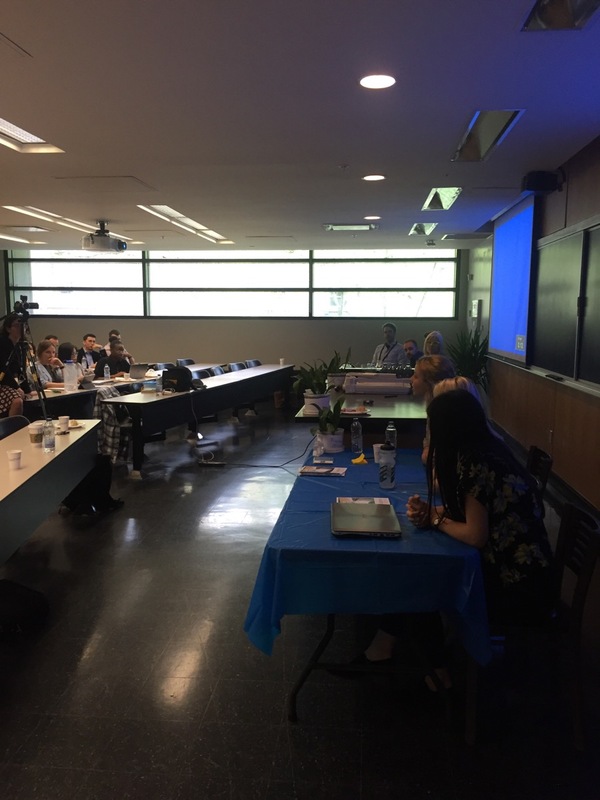 Each of the three days of the Summer Institute combined workshops, panel discussions and hands-on learning modules that culminated in a competition judged by Montreal city officials and local tech entrepreneurs. The topic of our conversation was how to make sure human concerns remain paramount in the design of increasingly digital smart cities. It features Open North Executive Director Jean-Noé Landry; Geothink Co-Applicant Stéphane Roche, associate professor in University Laval’s Department of Geomatics; and, Victoria Fast, an assistant professor at University of Calgary’s Department of Geography. And, of course, I’m Drew Bush and I’ll be helping steer the conversation along. To start us off, Roche got the conversation rolling on how to understand smart cities as a transition from urban living as it has been portrayed since the early 18th century to a new type of city based upon social organization and community that is aided by open data and digital technology. This entry was posted in Conferences, Geothoughts Podcasts and tagged academic, access, accessibility, conferences, conversations, Geothink, Geothoughts, Geothoughts conversations, human smart cities, open data, smart cities, Summer Institute, urban planning on August 30, 2017 by Drew Bush. 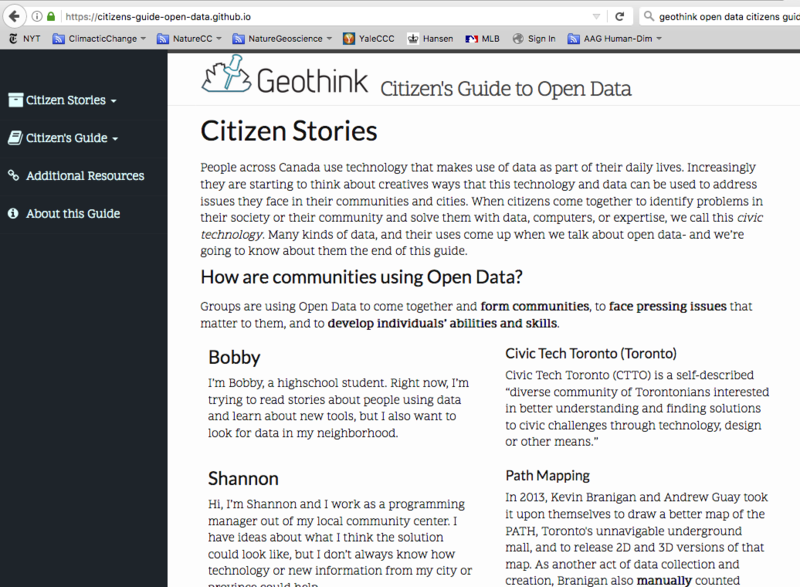 Screenshot of the Geothink Citizen’s Guide to Open Data link on Geothink.ca. You may have noticed a new banner gracing the front right portion of the Geothink.ca Web site starting last month. Click on it and it will take you to a key deliverable of this five-year partnership research grant funded by Canada’s Social Sciences and Humanities Research Council (SSHRC). 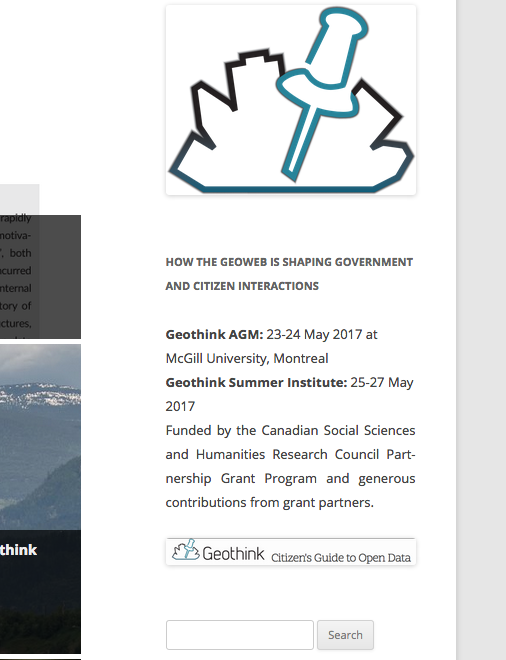 The Geothink Citizens Guide to Open Data was created by Curtis McCord and Dawn Walker, Geothink doctoral students in University of Toronto’s Faculty of Information, in collaboration with Geothink Co-Applicant Leslie Regan Shade, professor and associate dean for research in the faculty. 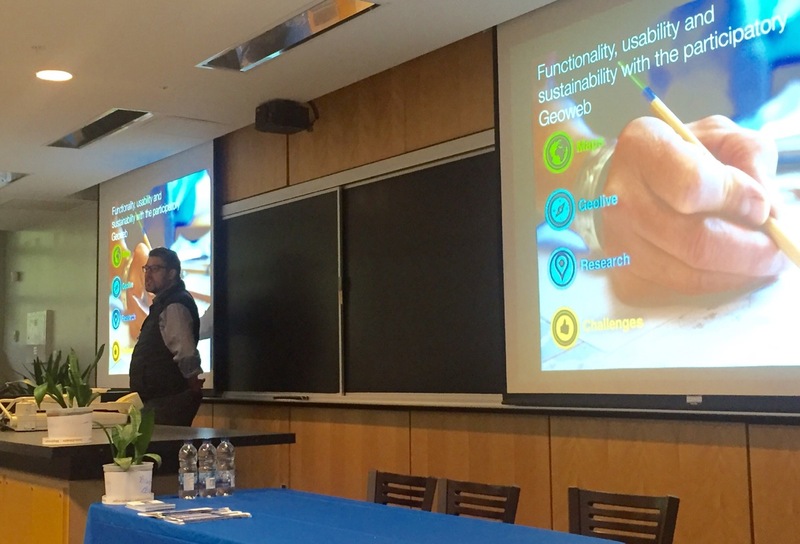 It was first presented at Geothink’s 2016 Summer Institute at Ryerson University in Toronto when the duo were master’s students speaking on a panel. McCord added that anyone interested in contributing can edit the guide by following simple instructions to use GitHub found at the bottom “Change This Guide!” link on the site. They can also e-mail the authors by clicking the “Feedback” link. Such contributions will represent the next step in the guide’s release to the public. According to Shade, the first steps began directly as a result of her work with Geothink. “Curtis and Dawn wrote and designed the bulk of the Guide while also convening a small group within Geothink and locally to give advice on the content,” she added. This year Shade engaged new students to continue work on several facets of the Guide including University of Toronto Master of Information students Dal Singh, Nicole Stradiotto and Mari Zhou and doctorate student Camille-Mary Sharp. This entry was posted in Academic Output, Research Project and tagged cities, citizen's guide, citizens, faculty of information, Geothink, open data, open data guide, smart citizens, University of Toronto on August 13, 2017 by Drew Bush. Rachel Bloom, Julia Conzon and Elizabeth Barber took questions from the audience on day three of the Geothink 2017 Summer Institute after talking about their career paths post Geothink. Geothink Co-Applicant Stéphane Roche, associate professor in University Laval’s Department of Geomatics, chats with students during a coffee break on day three of Geothink’s 2017 Summer Institute. The third day of Geothink’s 2017 Summer Institute opened with Open North Executive Director Jean-Noé Landry discussing how Geothink’s collaborative approach begets research with practical applications for smart cities. A pair of Montreal entrepreneurs and a trio of former students elaborated on this perspective in their own subsequent presentations. Two previous Geothink students followed with talks on their differing career trajectories after graduating from McGill University. Rachel Bloom is currently working as the project lead for Open North on Smart Open Cities; and Julia Conzon spoke of her work with open data at Statistics Canada. Elizabeth Barber, a master’s of public services student at University of Waterloo, talked about her summer work with the City of Montreal. They were preceded by Xavier Peich, a co-founder of SmartHalo, and Vincent-Charles Hodder, a co-founder of Local Logic. The last day provided ample time for students to work within their groups to analyze Montreal’s strategic plan in accordance with a research question assigned by one of the Summer Institute’s faculty members. It also provided time for faculty members who once had been students themselves to reminisce. “I love the summer institute,” said Victoria Fast, an assistant professor at University of Calgary’s Department of Geography. She herself has participated in the previous summer institutes in 2016 and 2017 and had just recently made the transition to faculty. The Summer Institute faculty, city officials and tech entrepreneurs helped to judge the work of each student group at the end of the day. But the real value lay in the new ideas and understandings each student gained. One group explored which city services should be prioritized for digitization first while another determined how to quantify what appropriate inclusion of citizens in smart cities of the future might look like. Others examined what open data should be released by cities, the advantages of public Wi-Fi, and how cities can foster collaboration between innovators. Chavoshi added that he found this year’s Summer Institute quite informative. 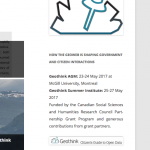 This entry was posted in Conferences, Geothink Videos and tagged careers, day three, Geothink, open data, Open North, smart cities, Statistics Canada, Summer Institute on July 12, 2017 by Drew Bush. 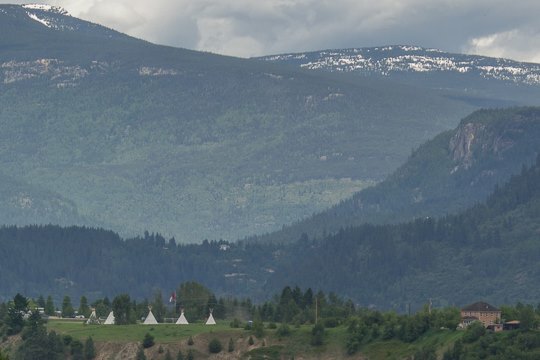 This post originally appeared on the Rural Open Data site which reports on research taking place as part of a three year grant investigating open data best practices, policy and delivery options in southeastern British Columbia. The author is in the final year of her Bachelor’s of Geographic Information Science (BGIS) at Selkirk College and is currently working at the Selkirk Geospatial Research Centre. I am presently completing a summer work term at the Selkirk Geospatial Research Centre, supporting its Rural Open Data study. In September, I will enter the final year of a BGIS, also at Selkirk. I came to GIS from a humanities background, after many years working in libraries. I am really fortunate to have been guided toward the possibilities for GIS within the humanities, like open government data, and will continue to focus in that area. The Geothink Summer Institute (May 25-27, McGill University, Montreal) was a unique opportunity to meet and collaborate with fellow students from multiple provinces (Quebec, Ontario, Saskatchewan, B.C.) and academic disciplines (GIS, Geography, Law, Urban Planning), as well as varying levels of study (from undergrad to doctorate). The theme of this year’s institute was “Smart Cities – Just Cities.” While it certainly was not lacking in solid examples of policies and applications, most of the dialogue and problem solving at the institute centred on the emerging potential of smart cities. With so many standards yet to be developed, and so much infrastructure still to build, I came away with big ideas, concepts, and philosophies more than any other thing. I also learned why that is a good outcome. We stand in the enormously fortunate and powerful position of determining exactly what smart cities will be. If they are to be equitable, accessible, sustainable, social, and safe places, it will be determined by the questions we ask and answer right now. X: What exactly is the meaning of ‘smart’ in the smart cities context? Primarily, the default concept of smart is the one developed centuries ago, meaning logical, well reasoned, and scientific. During the 1990s and 2000s, the social sciences transitioned into the idea of multiple intelligences. First, it was emotional intelligence. Then social intelligence. Eventually there were bodily, intuitive, and existential intelligences. It all became a little bit silly, which may be why we continue to return to the default. Still, there is value in considering different aspects of smart. Consider Artificial Intelligence (AI) for example. No matter how many algorithms are developed, or how much data is processed, ‘the rules’ will always limit machine learning. The elements of human consciousness that add up to smart remain a mystery, and I daresay the whole is greater than the sum of its parts. What is the algorithm for imagination? In the context of smart cities we must also ask, what is data? Again, the default is measurable and precise, facilitating all sorts of amazing, practical solutions to significant human problems. Yet humans remain unpredictable, and cities are messy. Much of what makes a place meaningful and livable for its citizens is not quantifiable. In determining the smart/just city, space must be included for the qualitative, the organic, and the random. Y: What normative influences are smart cities to have upon the behaviour and expectations of citizens? With smartphones, wireless, and up-to-the-minute GPS data, there comes an ability to control and personalize the urban environment more and more. Don’t want to wait in the rain for the bus? See when it’s 30 seconds away from the stop. Want the city to fill in that pothole? Submit a photo and see it move up the road-repair priorities list. Great stuff, right? The issue being, as individualized services increase, so do expectations, and the false perception that convenience is a right. The smart/just city must very intentionally cultivate engagement with the entire community, deliberately seeking inclusive input from the less enfranchised, whether it be due to language, income, age, or intellect. Fostering the communal spirit within cities will require a massive culture shift for some, and arouse the suspicion of many. The selling point is innovation. Just as in nature, diversity results in adaptability for cities. Variability creates opportunity for new ideas, social benefits, and economic growth. Z: Can the smart cities model grow engagement and increase unity among communities? Knowing more about someone or something brings it closer, makes it matter more. As the information age crashes into the big data minute, what any human being can know and care about becomes increasingly narrow, at least in any practical, useable way. Any group one identifies with is progressively exclusive, and may be more ideological than spatial. Constructing smart/just cities from the ground up, from grassroots neighbourhoods and villages, is the reasonable place to begin. But, generating a sense of unity among these will not simply happen once the end is achieved. Pre-existing government data, when made open, can help build community cohesion at every step, giving each group an equal voice and connecting the common links between them. What will determine the smart city? In this as in everything, the means matter. This entry was posted in Conferences and tagged crosspost, Geothink, Geothoughts, smart cities, Summer Institute on June 30, 2017 by Drew Bush.